I would really like to know as well, Mine is the same with that wire, i should take apart my cheap FT brass nemi to have a look.. I can say though that my brass FT nemmi hits way harder than the SS hcigar version. I switched the top and bottom caps around from the brass version onto the SS and now my mixed nemmi hits hard. The brass spring is meant to be there, but it shouldn't be squashed like that. 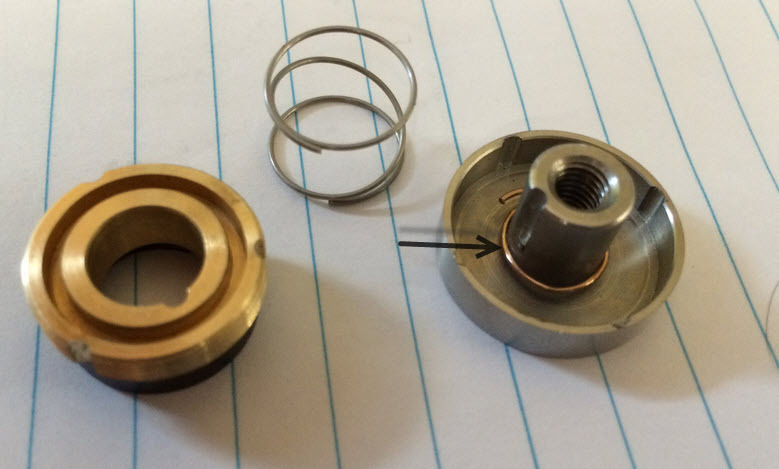 If the clones are like the originals, it should reach about halfway up the indent for the brass pin... speaking of which, you're not missing that are you? (it's not in the pics). Yeah I have the pin...what's the actual purpose of that extra spring? Will it still be needed once I change to magnets? It's meant to help with conductivity (from my understanding), one spring for tension, one for conductivity... but it really doesn't make much, if any, difference IMHO has there's already enough solid metal on metal contact between the various components in the switch. You could try simply using it without the inner spring. When magnets are installed, both springs are removed anyway. Yep I has magnets. No room for springs. Where abouts did you get your magnets from? i took mine out makes no difference. I assume better than the ones on FT. Wider so feel more stable. You will need 3. Ones on FT are n45 I think. May only need 2. Heard they are more brittle. The person said left them near each other on bench. They slammed together and broke. May be because they are so powerful, they broke and not because they are brittle. FT ones are cheap. Just add to next order even if you buy the ones in link above.